Well, this is truly special. There are few players who have had a greater impact on our national pastime than Jackie Robinson. He not only shattered baseball’s color barrier, but he did so as one of the most talented people to ever lace up a pair of cleats. That’s why Major League Baseball is paying homage to the great No. 42 by having his widow throw out the first pitch at all 2,430 baseball games this season. Wow, what an amazing tribute! 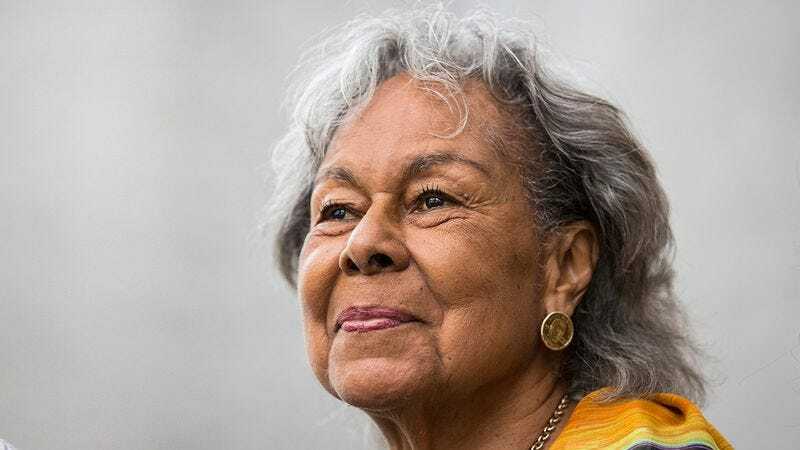 Since Jackie’s passing, 93-year-old Rachel Robinson has played a huge part in keeping her husband’s legacy alive. But this year, the MLB is helping her spread Jackie’s message of equality by having Rachel toss the ceremonial first pitch at all 81 home games for all 30 teams. It’s a touching way to remind fans of Jackie’s lasting contributions to this great game. Starting yesterday and going through the final game of the regular season in October, a typical day for Rachel will involve throwing out the first pitch at Yankee Stadium before catching the subway over to Citi Field. Once she’s done there, it’ll be off to LaGuardia to hop in a private jet waiting to charter her from ballpark to ballpark. But her day won’t be done until she finally takes the mound at Dodger Stadium over 12 hours later for her last pitch of the day, as 50,000 adoring fans cheer her on. After a quick night’s sleep, she’ll be right back at it the next day. If Jackie were alive today, there’s no doubt he’d be smiling. Forget winning the 1949 NL MVP Award; this is truly the greatest honor that MLB has ever bestowed upon Jackie Robinson, and he couldn’t be more deserving of it. If you’re headed to a Major League ballpark at any point this season, get ready to be part of something amazing!